Discover how you make $3,000 per month passive income for life using this tried and true method that has worked for millions of people over hundreds of years. No fluff. No hype. Just real world wisdom that you can apply to your own financial life. What Could You Do With $3,000/mo Passive Income? What could you do with $3,000 per month in passive income for life? How would it change your life? For some of you, it will be a total game changer. For others, maybe not, but how would it affect your life if you were the owner of a commercial property that produced $3,000 per month for life? An extra $3,000 a month in passive income would give you security and confidence in case you were laid off from your job or even downsized. You could still afford the basic necessities of life. 2. Out of the Rat Race? Some of you reading this today have a very low cost of living. If you live very frugally, the $3,000 a month you generate could equal your rat race number. Your rat race number is the amount of income that you need per month so that you’re out of the rat race, out of the corporate world, and have the option of choosing to leave your job, or work part-time, do ministry, volunteer, and pursue the desires of your heart. Or you could even work full-time in commercial real estate. That is exactly what I did after exiting the rat race. The process of making $3,000 per a month in passive income is a roadmap to generating $5,000 per a month, $10,000 or even $20,000 per a month in passive income FOR LIFE! I have an example I would like to use in this blog to serve as a teaching point on how to make $3,000 per a month in passive income in real estate. We are going to assume that this is a small office building or 20-unit apartment building with a purchase price of one million dollars. You’re going to put down a 25% down payment, which is $250,000. After your down payment, what’s left over is your mortgage of $750,000. Just like buying a house. You’re going to pay an interest rate of 5% with a 30-year amortization. The payments are going to be $4,026 per month, but in commercial real estate evaluation, we always use a yearly figure, so I’m going to multiply this $4,000 per month mortgage by 12 months, which comes out to $48,312. This is your annual mortgage payment. In this small office building or 20-unit apartment building, the income is $156,000 per year, but I’m going to reduce that income by a 5% vacancy factor. You should always do this because you cannot expect to be 100% full for 100% of the year. That’s just not going to happen. Someone’s going to move out or not pay rent, so be conservative and take away 5%. That leaves us with $148,200 for the year. Next you must subtract 35% of the income as expenses because there are expenses for property management, insurance, taxes, repairs, administrative, and more. The industry standard for expenses is 35% so if you subtract 35% from $148,200 a year, we are left with $96,333, $330. This is called the net operating income. Very important number to remember in commercial real estate. Again, income minus expenses equals NOI. Now that we have the NOI, we can calculate the cashflow, I’m going to subtract the annual mortgage, from the NOI to get the cashflow. The NOI minus the $48,000 mortgage leaves you with a cash flow of $48,018. This means using your own cash. You will need $250,000 for your deposit. Do not get too hung up one this number, you can start with a smaller deal and a much smaller amount of cash. I am just using this as an example so you can watch the process. If you have IRA or a self-directed IRA you can use that. You can also cash out your 401k. I really like to use lines of credit and situate deals where the properties actually pay for the line of credit payments. If you borrow $250,000 from your line of credit, then the commercial property you purchased is going to make the monthly payment on that line of credit. So if you borrowed $250,000 at 5% interest, amortized over 30 years, your payment is $1,342 a month, or $16,000 a year. Remember, the property cashflows $48,000 a year, so if you pay $16,000 a year for your home equity line of credit, you are left with $32,000 a year. One of our students recently used his home equity line of credit to purchase a five-unit property that needed some work. He discovered that if he renovated each of the units, he could raise the rent substantially. He worked hard over the next eight months, but eventually, he was able to raise the rents, which increased his net operating income. 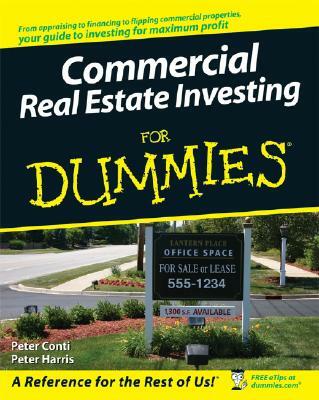 In commercial real estate, if the property value goes up so does the cashflow. He was able to produce $700 a month cashflow from just one five-unit property. Next he found another five-unit property in the same city, and that one produces $600 a month. After this, he ran out of money, so he did a cashout refi on both of his current properties, to purchase two more properties that each produce $900 a month. 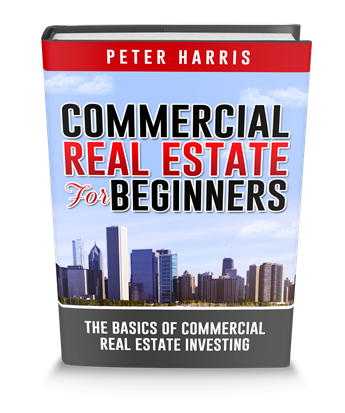 In total, he generate $3,100 a month in cashflow from his commercial real estate properties. Again, the property costs a million dollars. You need a down payment of $250,000 and it’s going to produce a cashflow of $48,000 per year. The goal is to attain $250,000 from investors. You’re going to pay the investors a rate of return of about 6-8%. To be conservative, I’m going to choose 6% for this example. If you borrow $250,000 from investors at 6% interest, you’re going to be paying $1,250 per month, which is $15,000 per year. This is your annual obligation to your investors. If we take the cashflow of $48,000 per year, and pay the investors $15,000, you’re going to have$33,000 per year leftover.Not quite $3,000 a month but really close. Again, don’t get stuck on a number. I want you to focus on the process and the principles here. Let’s say that the property owner did not want to sell the property and pay capital gains taxes You can use the Master Lease Agreement because we can defer capital gains off many, many years down the road.Now, let’s do some quick math to show you how this works. As a default, we like to start off our Master Lease Agreements with a 10% down payment once we understand the motivations. 10% down payment’s $100,000. That means your mortgage payment is going to be based on $900,000 at 5% interest per a year, making your mortgage payment 3,750 per month, $45,000 per year. The cashflow is the NOI minus your mortgage payment. The NOI of $96,330, let’s round out to 96,000, so 96,000 minus 45,000 is $51,000 per year.I know some of you are thinking, “Where do I get the $100,000 from?” I don’t know, but I’ll tell you what you have to do. You have to find it on a deal like this. You really do. The money flows to good deals, so you have to know how to create these good deals. Now, let’s say that you found an investor, and you’re going to pay him a 15% return on his money. That’s a lot in commercial. We want to entice him and make it really attractive for him. If your investor puts in $100,000, you will pay him a 15% return. That’s high, but guess what? This property can afford it, because if you borrow $100,000 from your investor and pay them 15%. That’s $15,000 per year you have to pay additional to your investor, but you’re making $51,000 a year, so you can afford to pay the $15,000. $51,000 minus the $15,000 to your investor equals $36,000 a year, so you’re making $3,000 per month in passive income after you pay your investor. The question is, why are you reading this blog? What’s driving you to learn this material? Two really important questions. I really implore you to really understand your why because nothing great is accomplished without understanding and knowing the why. There’s a saying that, “Once you know the why, the how is not too difficult.” What I shared here was the how, you supply the why.